coming into Northport for UnCaged 2018! cello, piano, bass and drums. He has assembled a new band and will be playing at Leelanau Uncaged 2018. A 3 piece punk band from Traverse brought to you by the miracle of happenstance and a strong desire to never grow up. Being part nostalgia and part punk rock ensures nearly anyone with a pulse will find a sound they can enjoy. Covering sounds from the 50’s to today, ThE DroogS are here to rock you. A Traverse City band fused of rock, blues, & ballads, These guys use musical artifacts from every culture! A fresh mix of cover and original songs with an edge. Dance-Listen-Smile. Interactive Sing along say along Songs and Spoken words. 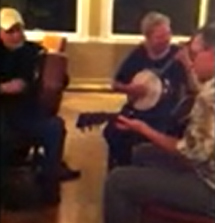 Local favorites Hoop'n Holler will sure to get you dancing to some good ole rock'n roll. Northport musicians rock the afternoon away this year! Kris Ernst on the drums. A ROCKIN' BLUES BAND, with elements of Blues Rock, Classic Rock, Soul, Motown, R&B, Funk, Swing... playing original music, old favorites, and new favorites. 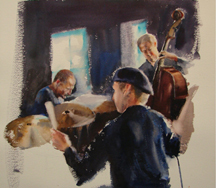 Good-time danceable live music with a high-quality sound, indoors or outdoors! Matt Borghi is a Michigan born & bred musician and producer. 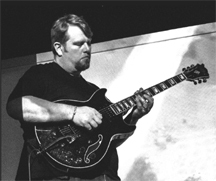 Matt’s has had a variety of musical projects through the years including his drone ambient recordings which have been featured on Echoes, Music from the Hearts of Space, NPR, BBC and CBC, his IDM group with childhood mate, Michael Goldapper, KOSIK , and his ambient guitar work with saxophonist Michael Teager. Matt’s also recorded under the pseudonyms, Manitou and Olagra. Matt’s music has been featured on Hypnos Recordings, Slobor Media and Ghostly International. 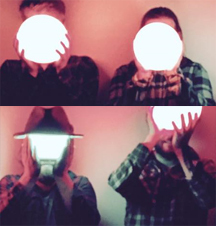 The North Carolines are northern Michigan's newest dynamic Americana band. 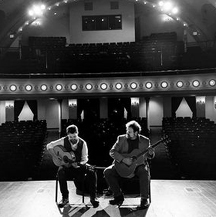 Caroline Barlow (guitar, vocals) and Kurt Westie (mandolin,guitar,vocals) play in the American roots styles with southern influence blown by the north winds to your part of town. Joined by a mutual love of keen songwriting, ballads, driving storytelling, and stylish instrumental tunes, The North Carolines bring you sweetness with an edge. A fresh sound for your ears to kick back and almost smell the magnolia. 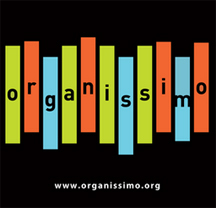 Organissimo formed in November of 2000 with the goal of bringing jazz back to the people. Organissimo's sound is instantly identifiable yet constantly evolving, infusing elements of funk, gospel, blues, progressive rock, and Latin rhythms into a solid foundation of jazz. Shifting meters, deep grooves, melodic finesse and tight ensemble interplay are hallmarks of the organissimo sound. "Saldaje" is inspired by a Portuguese expression of intense and nostalgic longing. There eclectic, original songs conjure in listeners a Bohemian vibe, enchanting with elements of Eastern European, Celtic, Arabic and Smoky Jazz music. 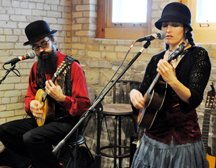 Saldaje is Shaun Anchak and Melonie Steffes and a variety of romantic acoustic instruments. 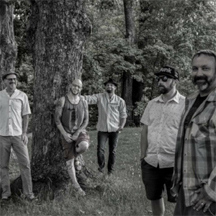 Soul Patch is a Traverse City, MI-based band with music as versatile as its members. Together they hold a masters in groove. Individually they infuse styles from several backgrounds including, world beat, jazz, reggae, bluegrass, funk, surf, rockabilly, ska, blues, and straight-up rock n’ roll. 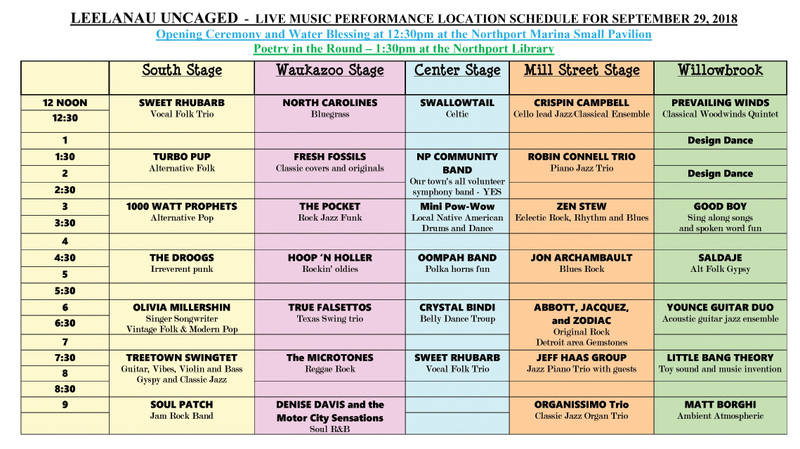 Soul Patch is a conscious Groove driven, Traverse City based, assembly of brothers in sound, Come vibrate with us! Not inclined to settle into a particular genre, they toss in elements of folk, pop, bluegrass, country, and this 'n' that. "Sublime" vocal harmonies are the signature element of their performances, which include a mix of well crafted original songs and covers from all over the map - any good song is fair game. 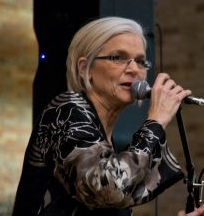 Burna Krugler (vocals, guitar, occasional bass and banjo) has been playing and singing folk music since the 1970's. She brings a silky soprano voice and princess-like refinement to the group, and always has a tissue up her sleeve. Ann Fate (vocals, guitar, banjo and percussion) had hidden her talents in gatherings of family and friends until dragged by her merciless cohorts into the public eye. Her sweet lilting voice goes with her effervescent personality and curly hair. 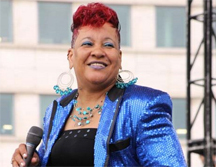 Priscilla Thomas (vocals, bass, guitar, occasional harmonica) played bass in a couple of rock and jazz groups in the 1980's and is back after inexplicably giving it up for 20 years. 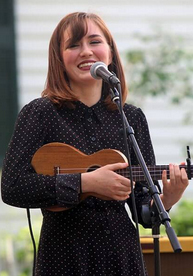 She provides a rich alto anchor to the harmonies and has been known to run screaming from the room (in a loving and supportive way) at an out-of-tune note. Chris Sterr - guitar, vocals, tap dancing, baked goods. Stu Ford - bass guitar, a deep pocket, no funny stuff. All Americana Rock band from the backwoods of Northwest MI. Singing songs of the human condition to bring people together under the common love of music. Featuring the soulful vocals of Zak Bunce, a 1000 Watt Prophets show takes you on a journey from the jazz club to the juke joint, through the dance club and even into a tent revival or two (we are Prophets, after all!). Some call this style of music New Retro, we just call it a great time! Zen Stew is a reuniting of the original rhythm section of Newt and the Salamanders. 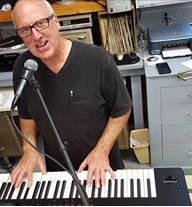 Guitarist, Mike Marois, and keyboard player, Tim Sparling, along with Newt Cole started the legendary northern Michigan horn funk band back in '75. 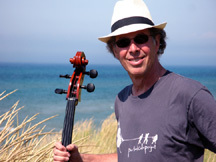 Drummer Roger Tarczon was added soon after and the band stormed the midwest. Years later Mike created another area legend, The Fabulous Horndogs, and bassist Jack Conners jumped on board. 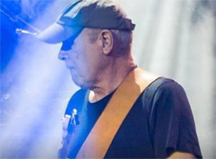 Zen Stew was created to give this core rhythm section the chance to shine and through a choice of some great old R&B and blues rock covers, they stretch out and make new fun and add fuel to some hot coals. 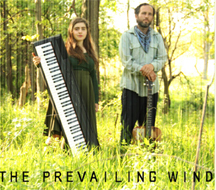 "The Prevailing Wind is the Michigan-based musical intersection of two poets, Lisa Wolfgang and Jeremy Siegrist. Wielding classical piano, punk-rock folk guitar, with cymbals and snares real and metaphorical, we sing with hope and sorrow about the intricacies of spirit, about our intimate love for the landscape, and about the intense emotional reaction to the trouble in the world around us. Cooperfly Creative Arts is owned by Kevin and Stephanie Kammeraad. It's the overall structure/organization to everything they do in the world of children's books, music, presentations, and shows.